Mickey Mouse Clubhouse: Pop Star Minnie is now available on DVD and we're celebrating with free Minnie Mouse coloring pages and activity sheets! If you and your child haven't had a chance to watch Disney Jr's hit show, Mickey Mouse Clubhouse, it's a must-see! 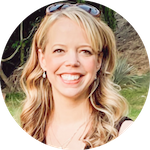 As a mom, I'm very careful about what my children watch, and Mickey Mouse Clubhouse has been on my “all clear” list since they started watching any sort of television programming. Pop Star Minnie is absolutely included in that last! 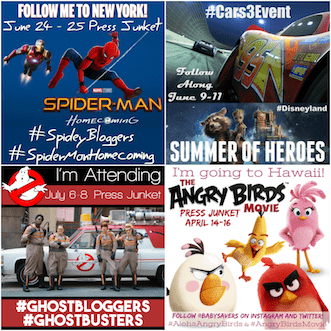 Hop Aboard The Magical, Musical, Clubhouse Tour Bus! Minnie's dream of singing onstage is about to come true — until her Clubhouse back-up band pals discover that their musical instruments are gone! Now, the race is on to track them down and reach Melody Mountain by sunset. But, even if they find the missing instruments in time, should Minnie sing the blues, croon a country tune or boogie to a disco beat? 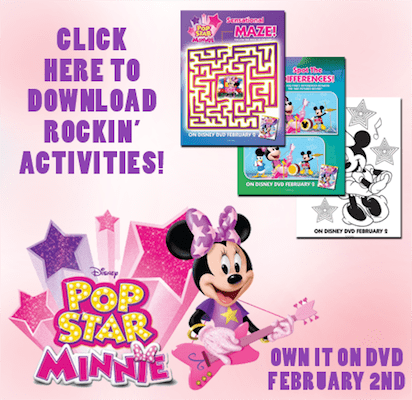 It's going to take help from YOU – plus a few Mouseketools – to get Minnie in the right groove to totally rock out! 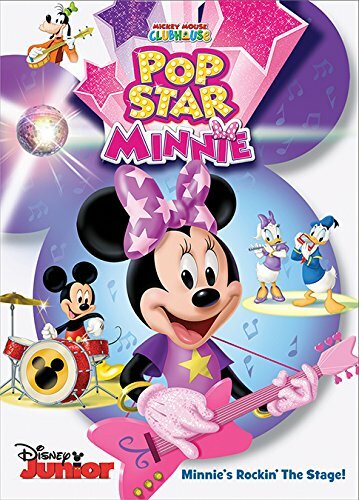 Bursting with fun, surprises, and four more exciting adventures, Pop Star Minnie is simply song-sational! 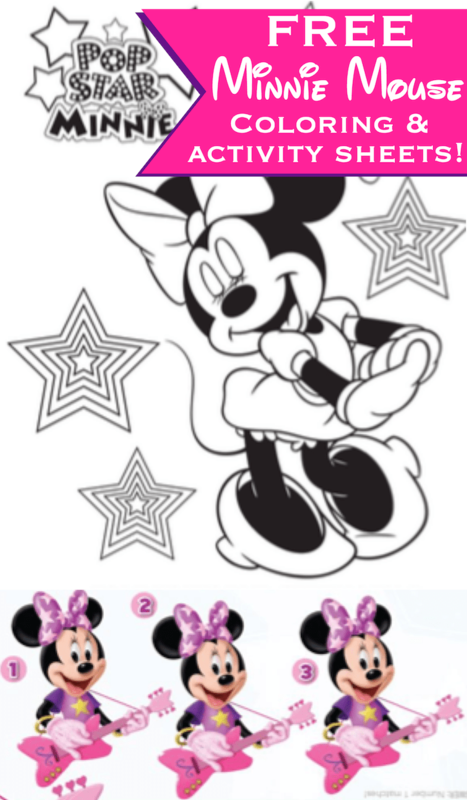 As I mentioned before, Disney has also provided me with a great packet of printable Minnie Mouse coloring pages to share with all of you! Just click on the image below to download all the coloring sheets. Mickey Mouse Clubhouse: Pop Star Minnie is available for purchase now. It has a suggested retail price of $19.99, but it can currently be purchased for just $14.99!